Cloudflare helps speed up WordPress and WooCommerce sites all around the world. Powered by more than 100 datacenters globally, Cloudflare’s CDN and security is a great addition to any web site. 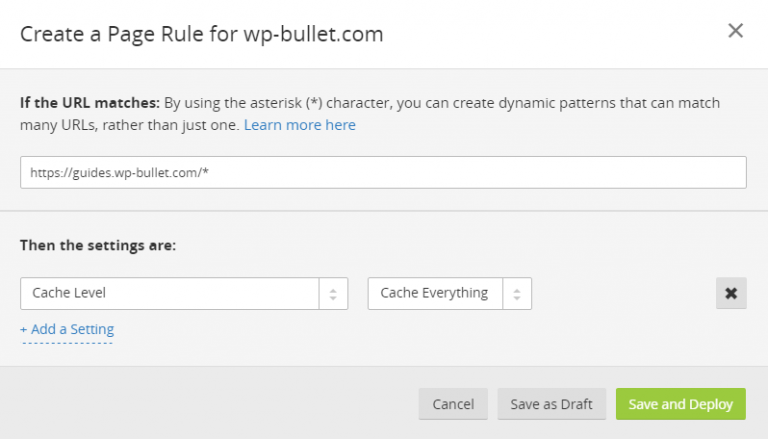 By default Cloudflare will cache a lot of your static assets which help decrease load times. 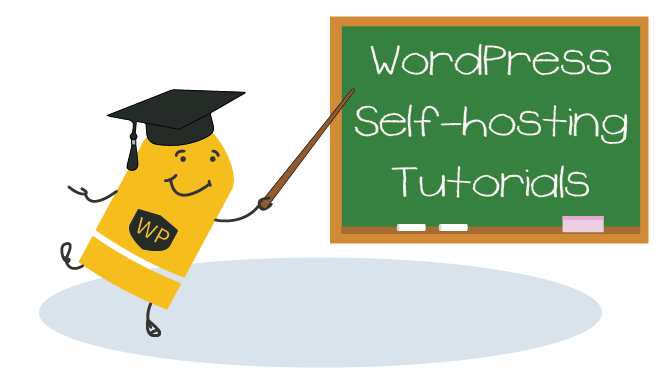 If you want to speed your site up even further then experimenting with Cloudflare page caching for WordPress is worth exploring. This is especially useful for people who find their TTFB (Time to First Byte) has slowed down after using Cloudflare. The goal of this tutorial is to show you how to reduce your server response time (TTFB) around the world using Cloudflare’s datacenters on the Free and Pro plan. Business and Enterprise plans with Cloudflare let you bypass cache on cookies which makes things a bit easier, but these plans start at $200 per month. Note: this should be considered experimental and tested on a staging/development site. Random weird behavior can happen with edge caching, be careful! This site is running on a Vultr (was Digital Ocean) VPS in Europe so I chose to test from Australia on pingdom. The first test took 2.35s – note that the Cloudflare CDN was not warmed up for this test! After enabling Cloudflare page caching the site took 424 ms to load. At this point the Australian datacenter has my static assets and HTML. This demonstrates the benefits of page caching with Cloudflare, going from a TTFB of 657 ms to 43 ms is a massive improvement of 15x faster. Note: it is very likely with a TTFB that low that the pingdom server is in the same datacenter as Cloudflare’s servers. Sign in to Cloudflare go to Page Rules in the top navigation. 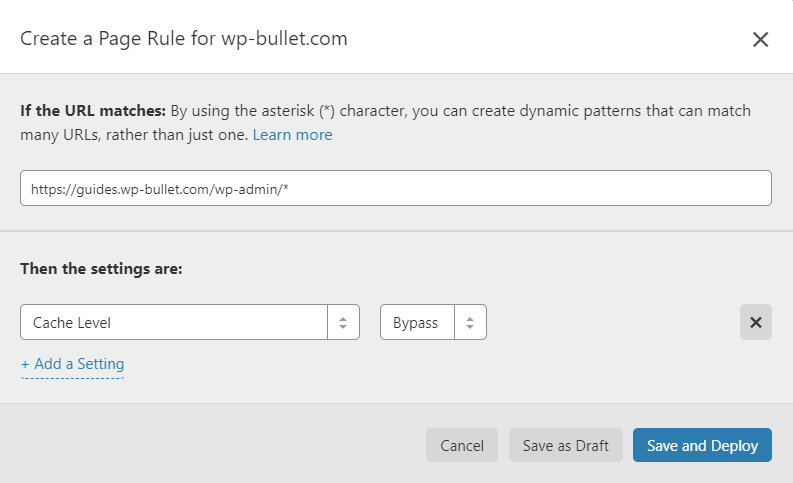 Create another page rule for https://guides.wp-bullet.com/wp-admin/* and set Cache Level to Bypass. 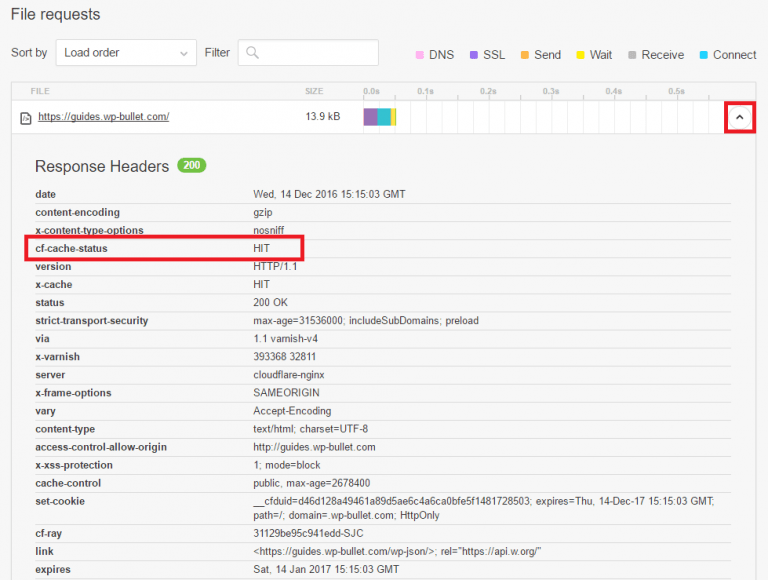 Under the top level menu Cache, set Browser Cache Expiration to Respect Existing Headers this will tell Cloudflare to respect the max-age of our Cache-Control header. I would highly recommend reading more about how Cloudflare works with origin cache control. Using cURL or even pingdom can show you if the CF-Cache-Status header is set. The first time the page is accessed it will be a MISS. To send a cURL HEAD request use this command from a linux command line. If you repeat the pingdom test or use cURL you will see the CF-Cache-Status header change to HIT if everything is working correctly. You can also examine the response headers using pingdom. Find the first response and click the arrow in the top right. Look for the cf-cache-status header and it should show HIT. If you are still seeing MISS after repeated attempts, then you may need to remove some headers which prevent caching and add some cache headers. This requires a custom plugin like the one shown below which I used Pluginception to create or modifying .htaccess, both methods are shown below. Essentially if you have Pragma: no-cache or Expires set in the past then Cloudflare will not cache those pages. You must have a Cache-Control header set that Cloudflare’s servers will respect. If you are using JetPack login then you should add a Cloudflare page rule to bypass caching for domain.com/wp-login.php* (thanks Eric). Using Pluginception you can create a custom plugin like the one below which removes the Pragma, Expires and Cache-control headers. It then adds the Cache-control header, here it is 3600 seconds which is 1 hour. Activate the plugin and re-test. In general you should not be viewing your published posts and pages while logged in as this will cache the admin toolbar view! If you find the admin toolbar has disappeared you can bring it back with this snippet in a custom plugin. If you only want the admin toolbar to work for admins this should do the trick. Hopefully this helps display your admin toolbar only where it should be shown! Save the .htaccess file and re-test Cloudflare page caching. To remove headers with nginx you need the more_headers module which is included with the nginx-extras package on Debian and Ubuntu. 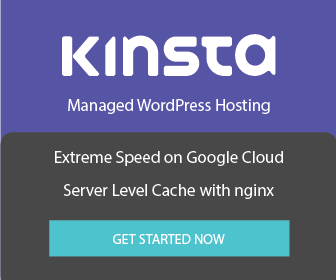 Reload nginx and test if the page is cached by Cloudflare now. Don’t forget to install the WordPress Cloudflare plugin so the page cache will be automatically cleared when you update your site.